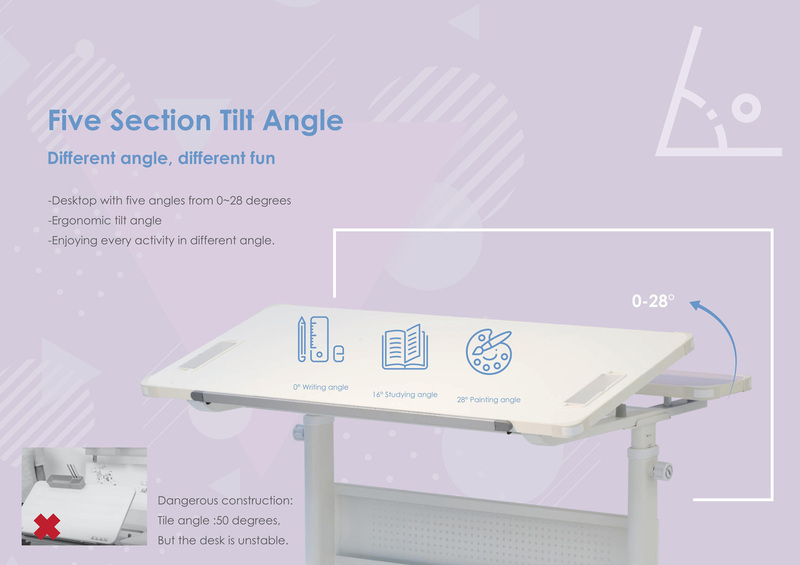 Unique 1050 Desk is the right desk for you. This desk matched the concept “do important thing by simply way”. Desk load ability is the most important thing. Unique 1050 Desk uses simple screw to support desk load ability. 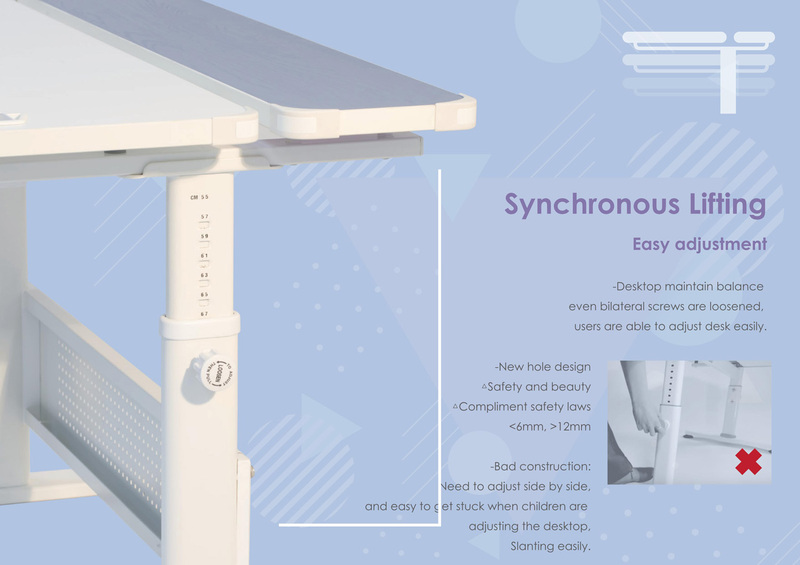 Normal desk use the screw to support desk load ability which the designs have the safety issue. Perhaps it can support desk weight when the screw is tight. However, it will shake or drop down when loosen the screw. Height adjustment instruction: our designer combines 2 specific springs with two-way theorem. 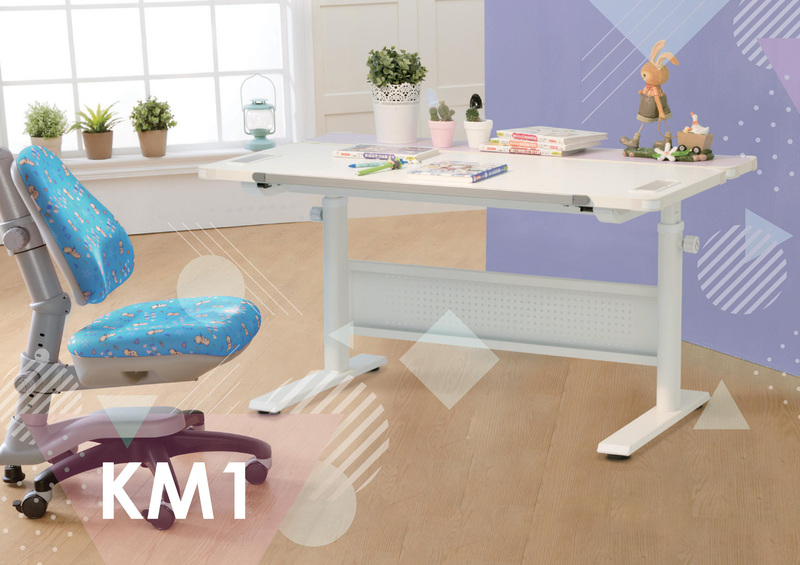 Any user can adjust height freely and easily, meanwhile full of safety. 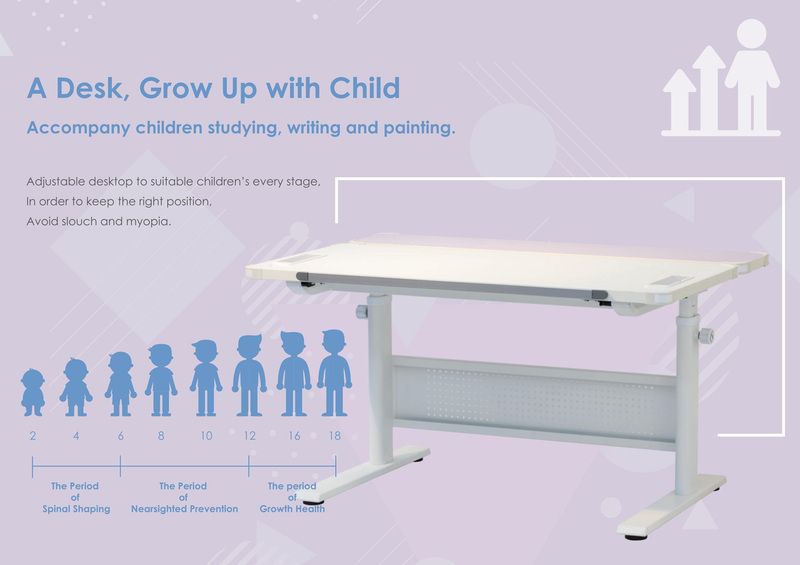 Adjustable desktop to suitable children's every stage, In order to keep the right position avoid slouch and myopia. Two colors with grain design,-Lightsteel blue and Violet. Accompany children studying, writing and painting. 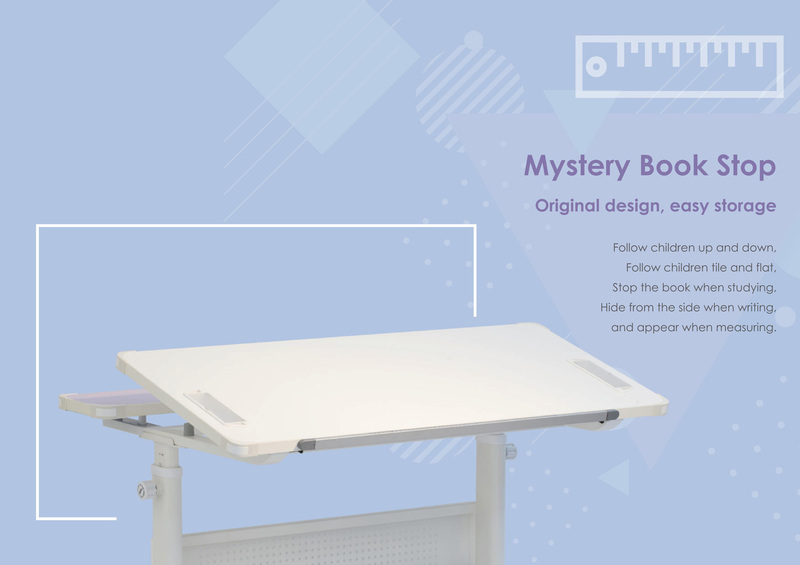 Adjustable desktop to suitable children's every stage, In order to keep the right position, Avoid slouch and myopia. 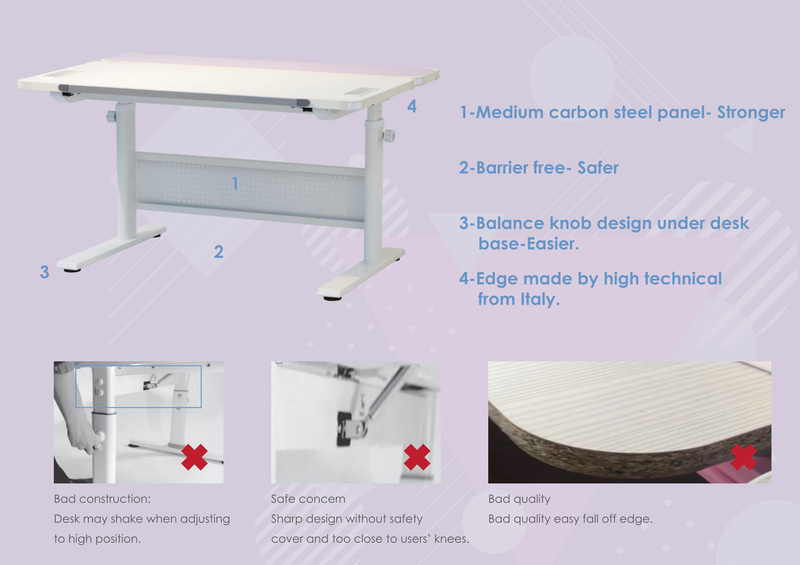 Desktop maintain balance even bilateral screws are loosened, users are able to adjust desk easily. New hole design Safety and beauty Compliment safety laws <6mm, >12mm. Bad construction: Need to adjust side by side, and easy to get stuck when children are adjusting the desktop, Slanting easily. Desktop with five angles from 0-28 degrees. Enjoying every activity in different angle. Follow children up and down. Follow children tile and flat. Stop the book when studying. Hide from the side when writing, and appear when measuring. 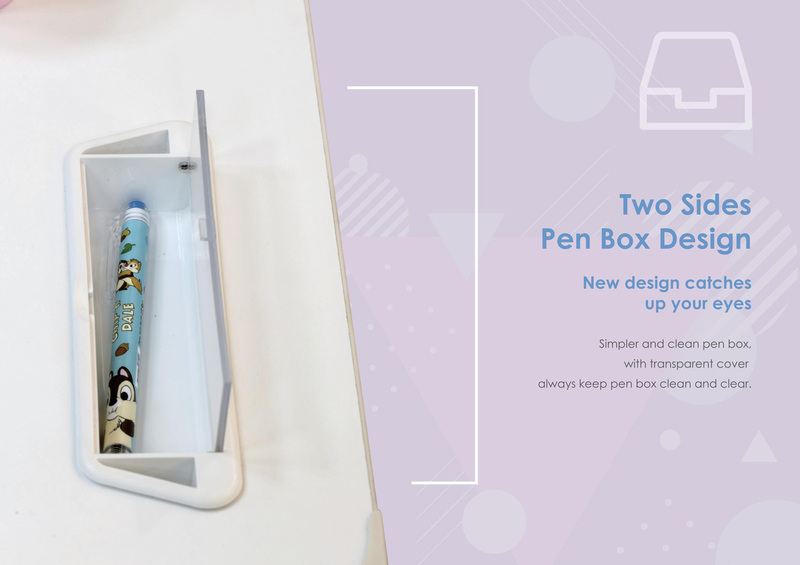 Simpler and clean pen box, with transparent cover always keep pen box clean and clear. 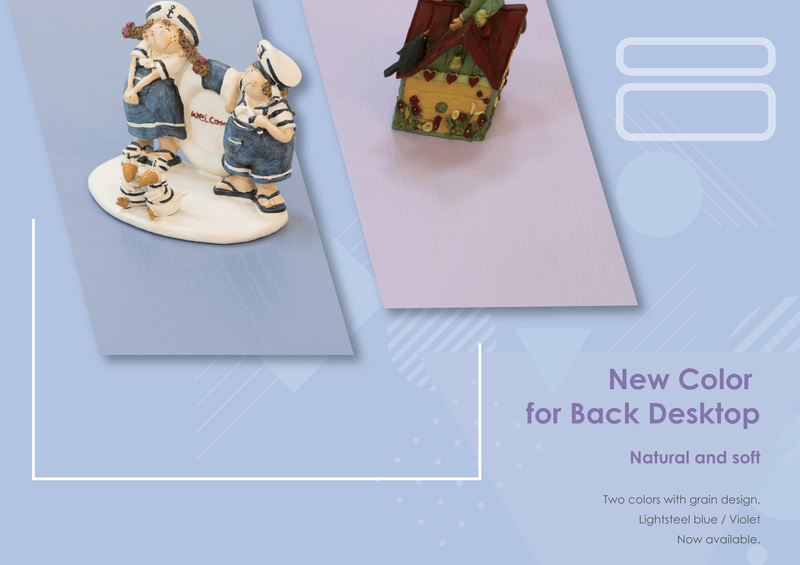 Two colors with grain design Lightsteel blue / Violet Now available. 3-Balance knob design under desk base-Easier. 4-Edge made by high technical from Italy.